We had earlier reported that Superstar Rajini would be joining hands yet again with director Shankar for a mega-budget film, after their earlier blockbuster outings Sivaji and Enthiran. This development was greeted with a lot of enthusiasm by all corners. But, now it looks like the Superstar would wrap up another film before moving on to the Shankar flick. 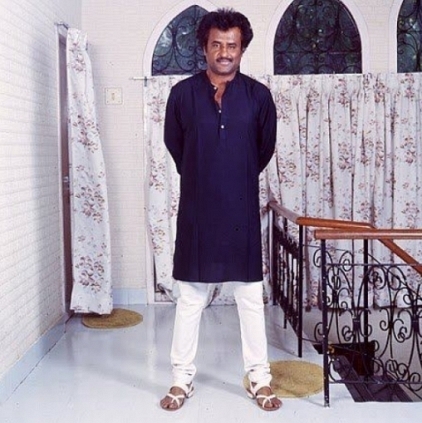 The latest buzz surrounding Rajini is that he would be doing a film with Madras and Attakathi fame, director Ranjith. This is an almost confirmed news and the film is touted to be a quickie. The shoot is expected to begin around July end. But director Ranjith wasn't available for comment, despite repeated attempts from our side. It must be noted that Rajini had conveyed his profuse praise for Ranjith's Madras, and the director had also proudly mentioned about this publicly in his Twitter space. There is a huge wave of surprise about this news as it's not everyday that an upcoming director like Ranjith gets to work with the biggest Superstar in the country. What will this film be about? Will it have political inclinations like the director's earlier Madras? Will we get to see Rajini - The Actor, in prime form again? Well these are some of the questions which are topmost in fans' minds now. Official confirmation and details regarding the cast, crew and the production house are awaited. Vikram Prabhu's Next - Breaking news ! Dhananjayan gets his National Award! A successful 27 hour marathon for Uttama Villain. Now for Vaalu ? Warm Wishes To Superstar Rajinikanth! People looking for online information on Attakathi Ranjith, Madras, Pa Ranjith, Superstar Rajini will find this news story useful.